On our third day in Penang we were fortunate to have our friend HJ Ong in town from Chengdu. HJ works at the same company as my husband and is doing an expat assignment, but he is from the Penang site. He grew up in Penang, so he knew it like the back of his hand. He generously picked us up from our hotel and drove us to one of the hawker eating haunts for breakfast. It is basically an outside food stall very similar to the kind you would see at the State Fair or a festival. There were a bunch of hawker places together and you could have whatever you wanted to eat. He ordered for us and it was delicious! HJ and I had curry noodles while the kids had banana pancakes and crepes. 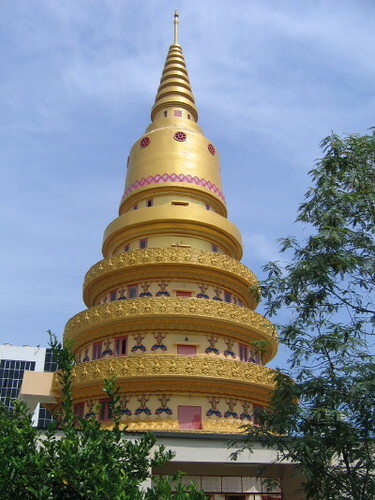 After breakfast he took us to a Buddhist temple while he ran a few errands. Here are some snapshots from the temple. 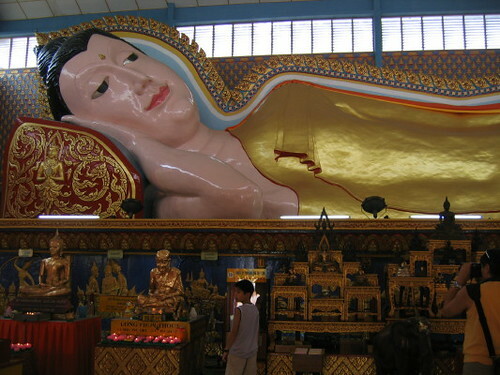 Sleeping Buddha, one of the longest in the world. After our temple trip HJ took us to Leong San Tong Khoo Kongsi. You can click on the link to read the history. 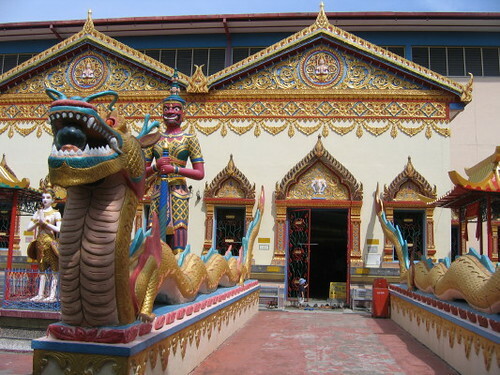 It was an area of clan houses where Chinese immigrants lived until they got themselves settled in Penang. So if your last name was Ong, you would go and stay in the Ong house. This particular house housed 5 different families. It was really beautiful, but unfortunately I forgot my camera and the kids were hot and grumpy by this time! Anyway, one more post about Malaysia coming up! We're off to the Mountains!